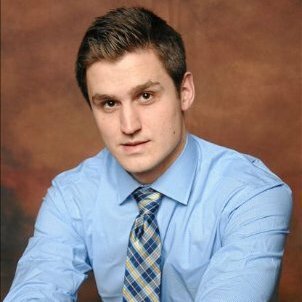 Chris Schmiesing joins the Marwick Search Marketing team this month. We wanted to find out a little more about Chris and what makes him tick. What do you do at Marwick? I’d consider myself a pretty athletic person, and enjoy playing or watching most sports, but especially ice hockey and football. My favorite hockey team is my hometown team, the Vancouver Canucks, and I also enjoy watching the Seattle Seahawks when it comes to football. Apart from sports, my other interests include reading, traveling, spending time with friends and family, working out or exercising, snowboarding, and other various outdoor activities. Where your favorite place to visit in BC? During the summer I enjoy spending time in the Okanagan in various locations in and nearby Kelowna. Nothing beats going out boating on the Okanagan lake on a hot summer day. During the winter I enjoy spending time at some of BC’s premier mountains such as Whistler and Big White to go snowboarding and do other various outdoor activities. One of my favorite places that I have visited already but would love to visit again is Australia. I was briefly in Sydney and Melbourne but would love to explore different regions in the area. An area that I have not been to, that I would love to travel to is either New York City or a major city in Spain. If you could have lunch with three people, dead or alive, who would they be and why? 1. Steve Jobs – One of the most intelligent and influential people to ever walk on the planet. 2. David Bowie – I was a big fan of David Bowie and his music, he really revolutionized music and the music industry as a whole. 3. Vince Vaugn or Jason Segel – Some of my favorite comedians or actors, and both are freakishly hilarious. What do you think digital marketing will look like in 2020? Augmented Reality (AR) and Virtual Reality (VR) will change the way marketers interact with consumers with its entry into the mainstream. Advertisers will need to create content that fully leverages these platforms. With the rise of apps like Pokemon Go, businesses will continue to experiment with this immersive technology. There will also be a rise in technology wearables such as Snapchat spectacles and its integration with digital marketing. Mobile reward platforms like Kiip will be tied with fitness trackers like Fitbit and allow advertisers to capture consumers and create that positive brand experience.